Computer-assisted design (CAD) and CAD services have made the development of new products faster and more precise, but this technology is almost worthless unless a skilled CAD designer or freelance engineer is using it. Cad Crowd is a community of expert designers who live and breathe developing new ideas – ideas thought up by you. But instead of just having one or two CAD designers working on your project, we can offer you a roster of talented individuals from around the world. This is the basis for Cad Crowd’s design contests – a contest that is controlled by you. You get to decide the contest’s time limit, how much the award is worth, and which design fulfills your idea. What’s more, you only need to pay the award amount for the best design submission and you can add additional awards to use any other design entries you want. 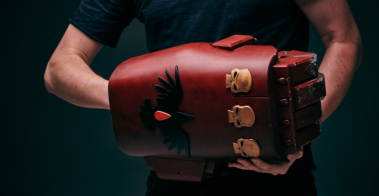 Let’s look at some past contests for product design concepts that became real products. Many of these projects were initiated by people with little or no product development skills; they just had an idea. Someone wanted an improvement on the traditional back scrubber, and a winner was picked out of the 20 entries received. This one, by designer Hiren Patel, was chosen for being easy enough to use that even a child could do it and its low production costs. But the contest holder also liked two other entries, so designers Stelios and ezer153 were winners as well. 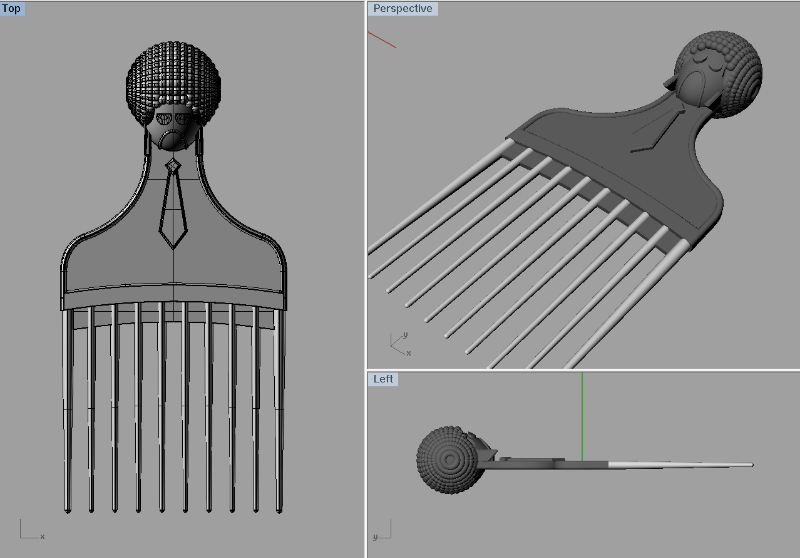 Another contest was held for an afro pick with a handle shaped like the hairstyle itself. After 21 entries were submitted, this one by designer Vedran Starcevic incorporated the character Jules Winnfield from the movie Pulp Fiction and checked all the boxes for the contest owner. 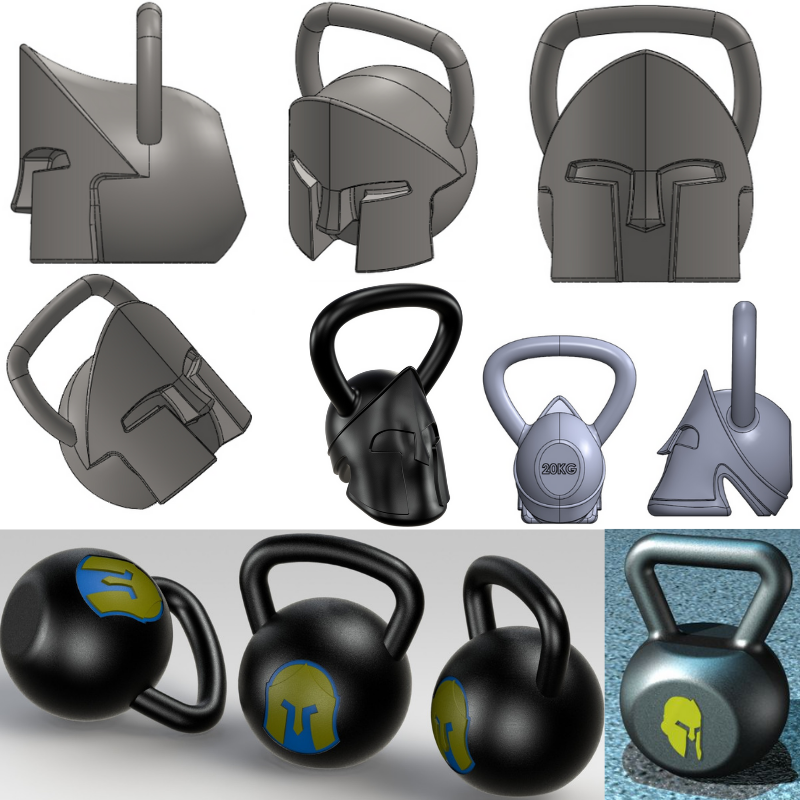 The next CAD design contest was held by a manufacturer of workout equipment who wanted a kettlebell designed to resemble a Spartan helmet. As always in a Cad Crowd design contest, it was just a matter of asking and the design submissions started rolling in. 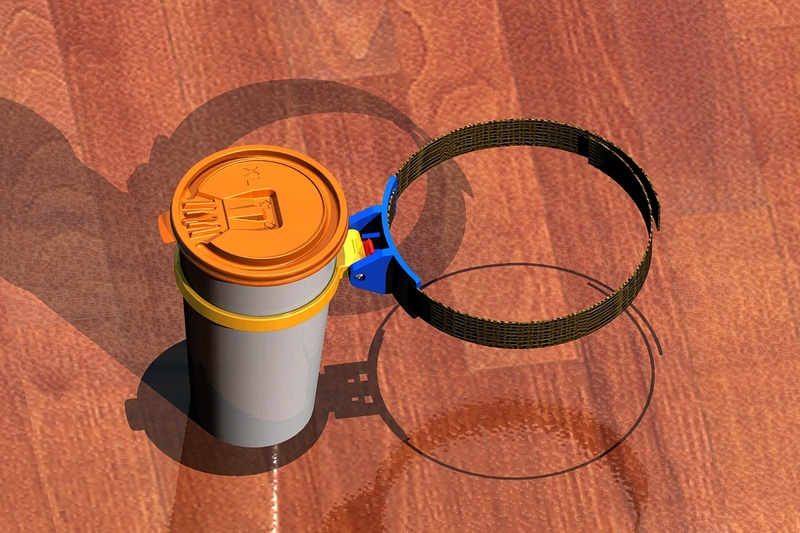 It’s possible this next contest came about from a spilled hot drink, which resulted in a burned lap, since the quest was for a mug holder that could be used on buses or subways, allowing the hands to be free. Maybe designer Asep Mahpud had a similar mishap because his design for an adjustable travel mug holder was chosen. By no means are design contests only for tangible, marketable items. Many contest holders want a space designed for an office, an outdoor area, or even plans for a house. One homeowner wanted an entertainment wall with a fireplace as the focal point. Among the many submissions was this innovative one from designer Arhitecto. 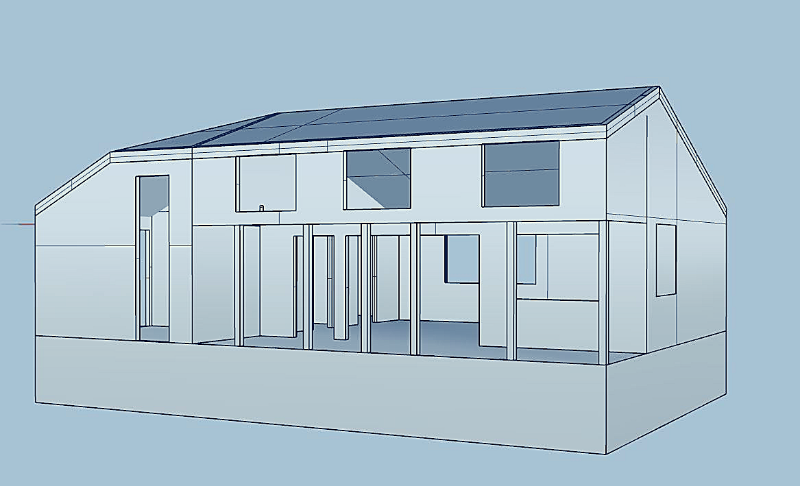 Someone with a 100+ year-old cottage on a lake wanted some revisions and 3D rendering services on a limited budget. CAD designer Sergiu.Nasta saw the challenge, as did 25 others, and he won the contest with his design concept submission. 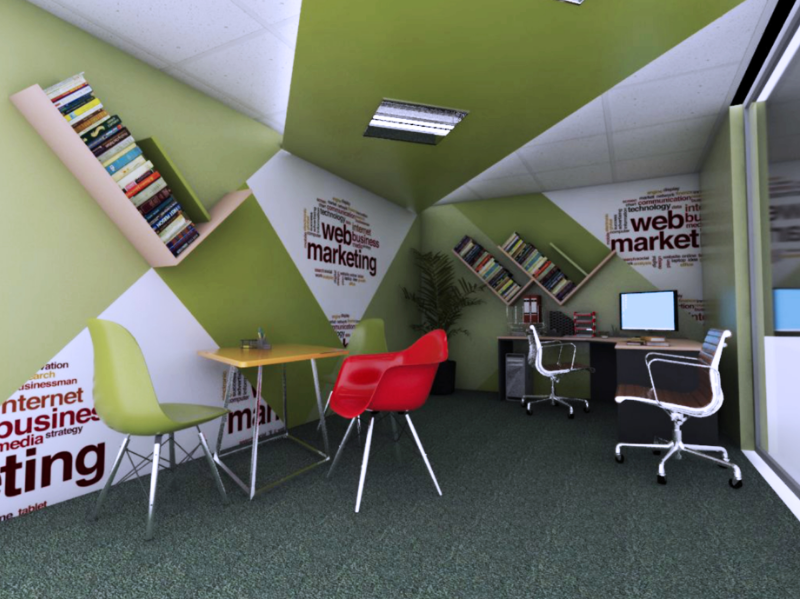 A creative businessperson moved into a new office but wanted a total facelift to give the space a trendy look. Ten designers heeded the call including designer A to Z and 123 who provided this plan, which could certainly get the creative juices flowing. Many of us seem to have a creative element in our DNA, but some of us definitely have more than others. There comes a time in our lives when we think of an item or app that would make a task more manageable, or we think of an existing product that would be better if it had some modification. Often those “hunches” are perfectly reasonable and might be of assistance in generally helping people and providing a source of substantial income to the product’s owner. However, nine times out of ten this new product lives and dies within the mind in a matter of seconds because we feel resourceless and helpless to ever make such an idea become a reality. But as we’ve seen in the examples of a few contests, that’s not the case at all. Anyone who can describe a concept by improvising, drawing, or texting an idea can produce a tangible result through Cad Crowd. We can put you in contact with skilled designers and developers, who then take your idea from concept to prototype or blueprint. With a vast pool of expertise, there’s really no limit to what can be done. It’s quite likely that designers’ ideas will sometimes include details you hadn’t considered before and would work well with your concept, so you benefit by getting advice as well as designs for a prototype. A Cad Crowd design contest is an excellent investment and a streamlined approach to making your idea real. All it takes to get things started is an idea, a plan, or a dream. Create a 3D CAD design contest with Cad Crowd and soon professional design entries will start flooding in. The delivery of 3D models and manufacturing blueprints is so seamless that soon after you’ll want to invent or think up more things to be the subjects of future contests. Hire CAD design & 3D modeling talent on demand. Newsletter signup for tips on new product design and invention ideas. Tips for your new invention or product idea. Get the newsletter for free advice about 3D product design, patents, manufacturing, licensing, and new product marketing.